Drive more leads, sales and your brand’s message home with Valpak of Southern Oregon. Our Blue Envelope shared direct mail is value-driven and enables you to target your business’ demographic, instead of blanketing the whole region. Mail monthly or seasonally. Just like the neighborhoods, the frequency of mailing is up to you. The form your brand’s message takes is also up to you. Choose from coupons, cardstock inserts with unique imprinting, circulars and multipanel flyers. Valpak delivers cost-effective small business advertising in Southern Oregon. It works equally well for shops, personal care, restaurants, entertainment and travel, automotive, professional services, home improvement, wellness, medical and more. Partner with your local Valpak office and we’ll open the door to qualified households in Medford, OR, Ashland, Central Point, Eagle Point, White City, Talent, Jacksonville and beyond. For specific dates and coverage, contact your Valpak of Southern Oregon representative. 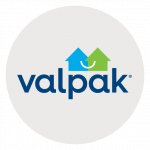 Valpak of Southern Oregon is an independently owned Valpak franchise.